Walt Simonson has just about drawn every major character for every major publisher throughout the last thirty-odd years. 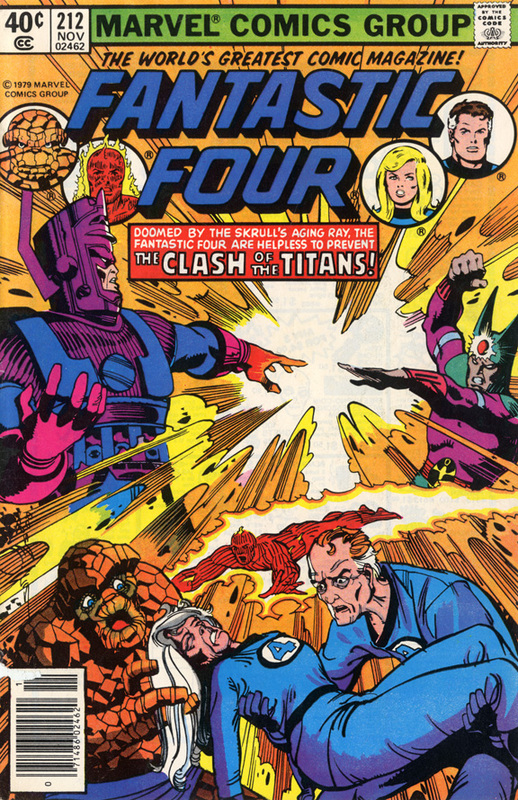 Best known for his work on Thor, Starslammers, Fantastic Four, Battlestar Galactica and Orion, Simonson’s style has always been lauded as having the energy to rival Jack Kirby’s. 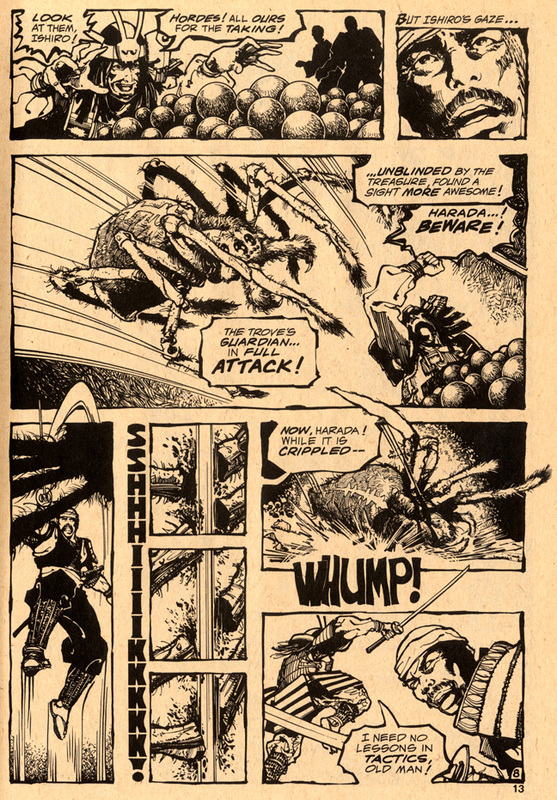 But just as his legendary predecessor’s work was seen, all of the subtlety in Simonson’s work is often overlooked. 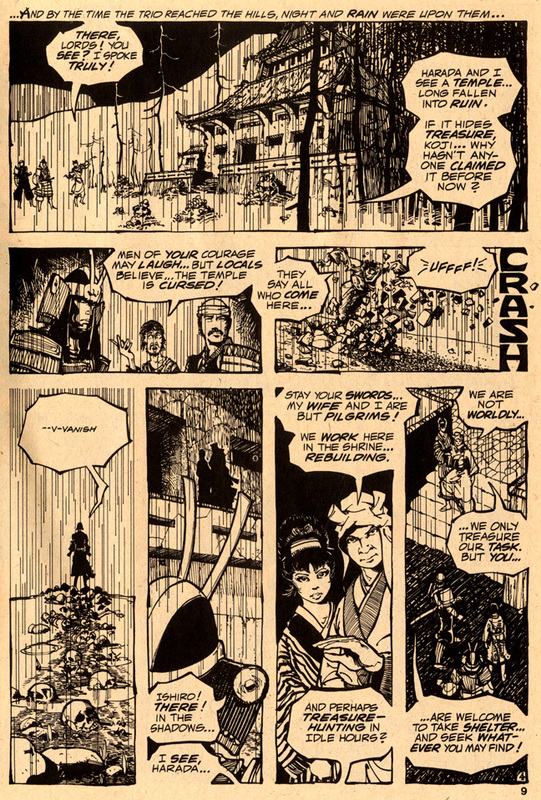 Even in the most frantic piece, Simonson manages give it a quiet sense of characterization. Hell, he just draws purty, OK? 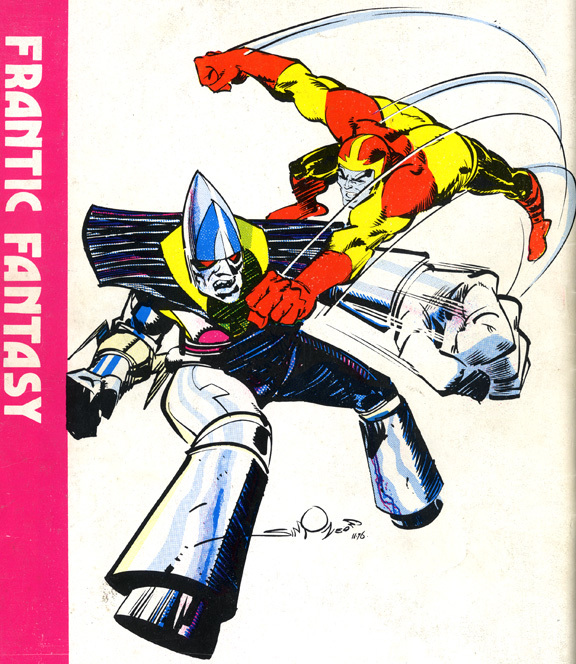 Since I can easily make thirty different posts based on his covers alone, I’ve posted some of my personal favorite comics and covers by Simonson. 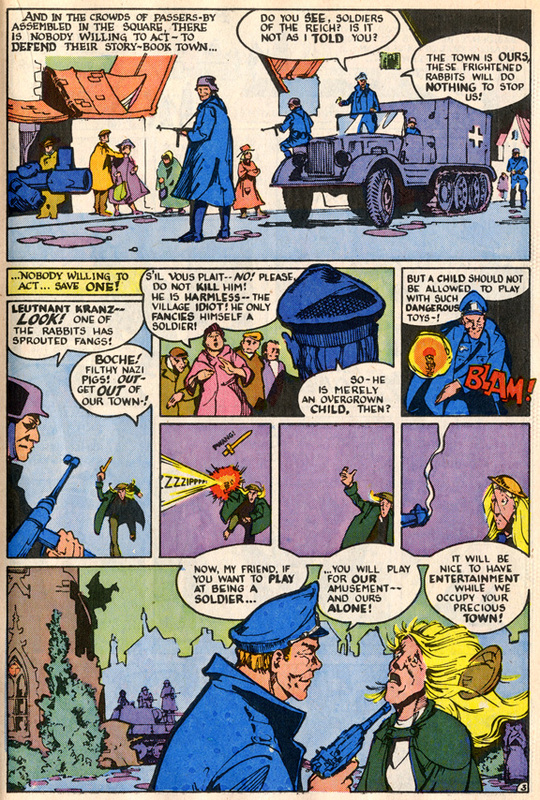 “Cyrano’s Army”, written by Len Wein, originally appeared in Weird War Tales #10, January ’73 (reprinted in Sgt. Rock Special #2, ‘88). 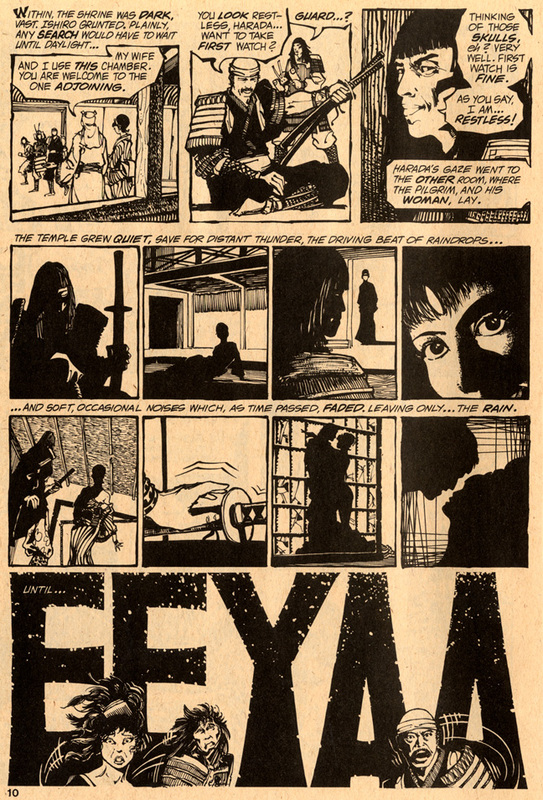 This story shows a slight Underground leaning… both times printed alongside an Alex Toth story. Not a bad place to start a career in comic books. This is the back cover for Astral Comics #1, a sci-fi fanzine featuring Astron, the Star-Soldier, published in the summer of ’77. 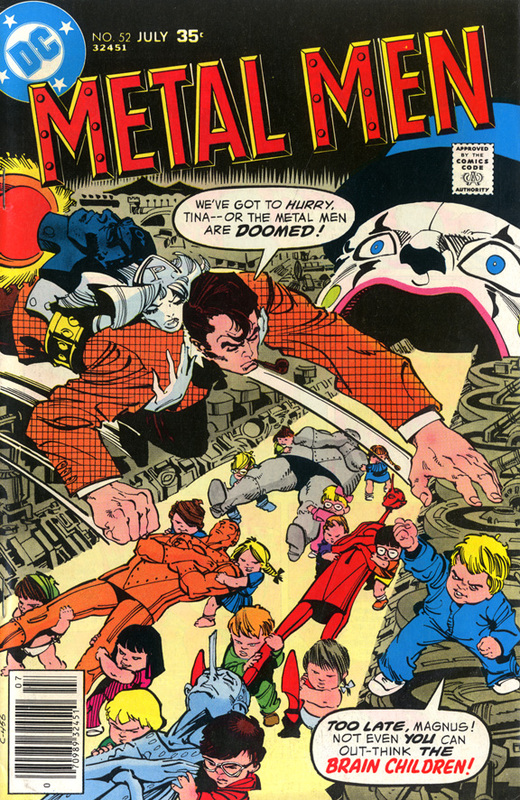 Metal Men #52, June-July, 1977. Remember when comics used to get up to this many issues? Good thing they did, too. Simonson continued hitting his creative stride during this MM run which came immediately after the critically acclaimed “Manhunter” material with Archie Goodwin. 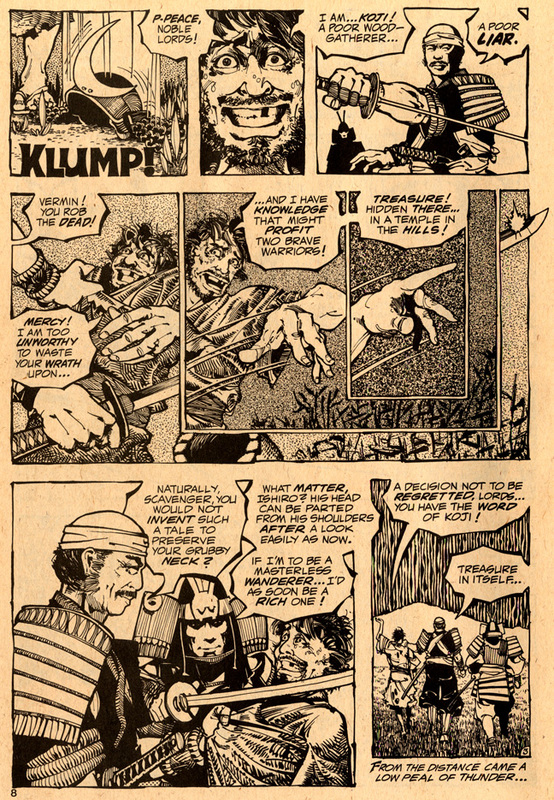 From the Rampaging Hulk #3, June ’77, “The Monster and the Metal Master” was written by Doug Moench with ink/grays by Alfredo Alcala. 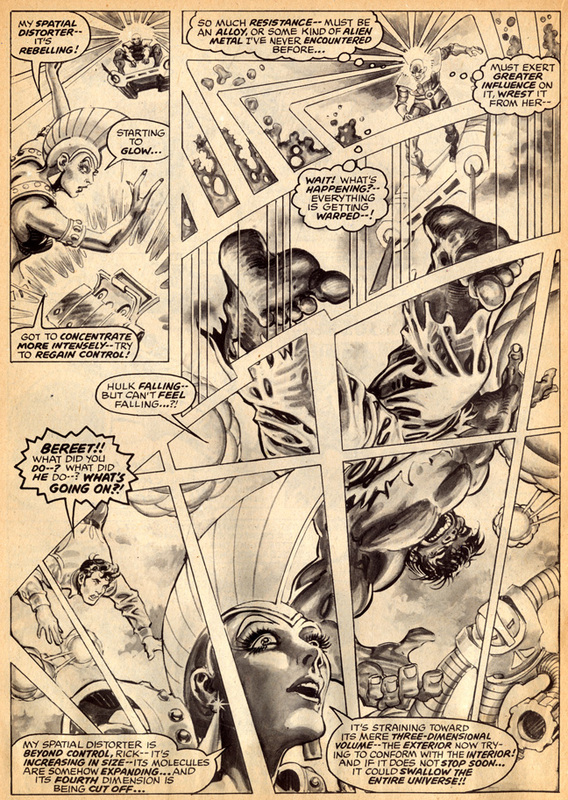 I’ve always liked Alcala fine, except when his imposing style hides all trace of the penciler’s work (well, his work over John Buscema is the exception). 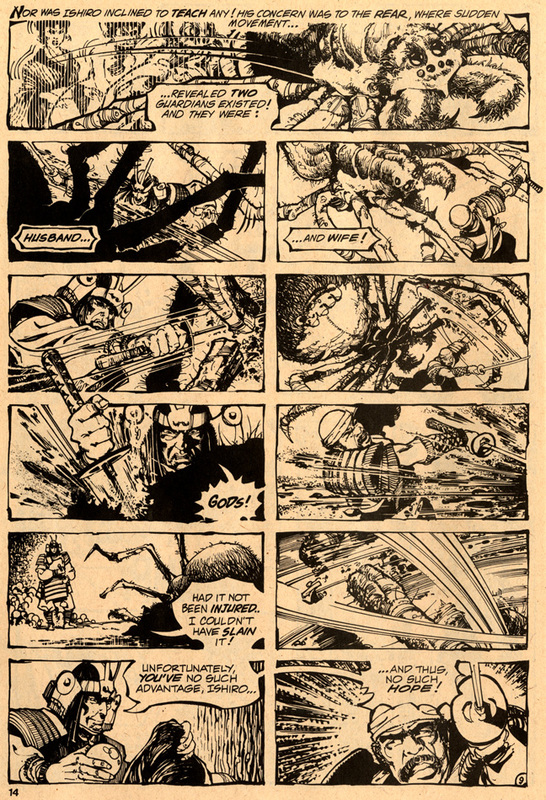 Simonson is one of the few artists to have survived Alcala’s unforgiving approach. These stories were recently reprinted in the black & white Essentials format, but the original magazine’s quality is a little better for art’s sake. 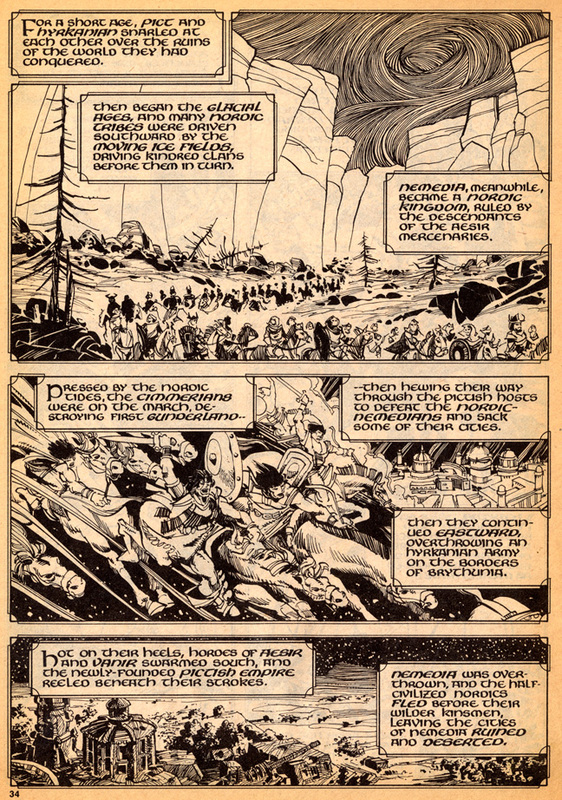 Written by Roy Thomas, “The Hyborian Age” was serialized throughout Savage Sword of Conan. 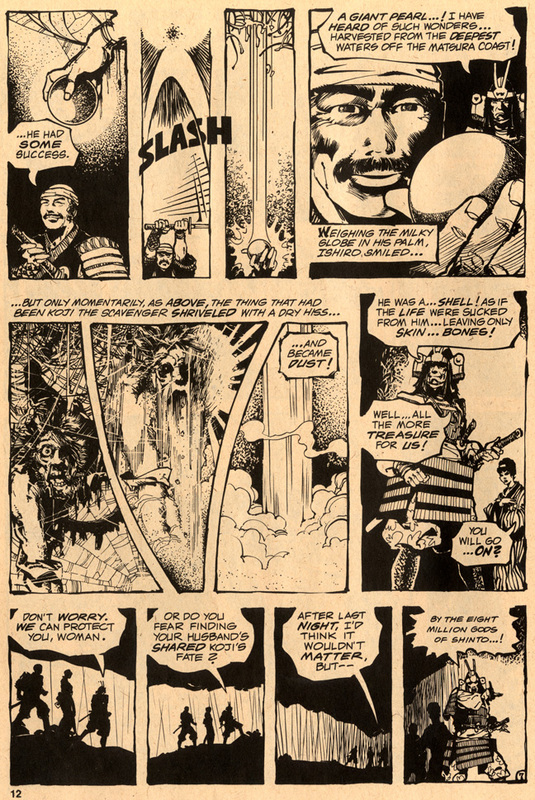 This last chapter appeared in #17, February ’77. 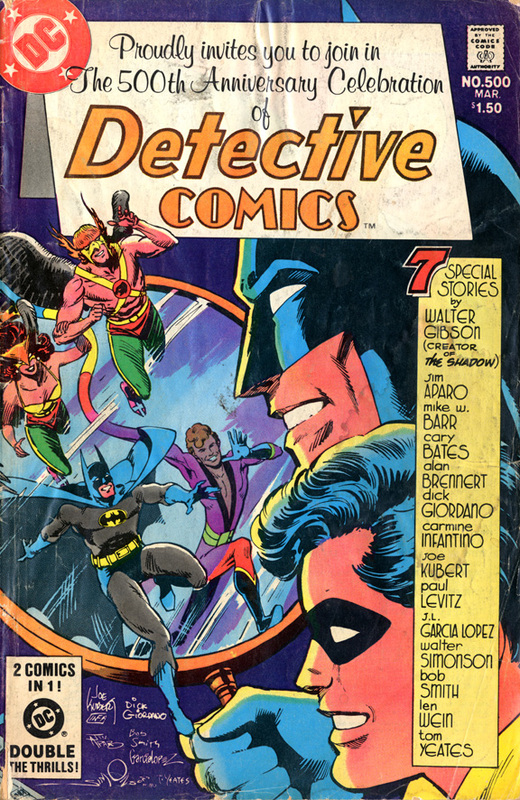 From the 1978 DC Comics Calendar. More Metal Men action. 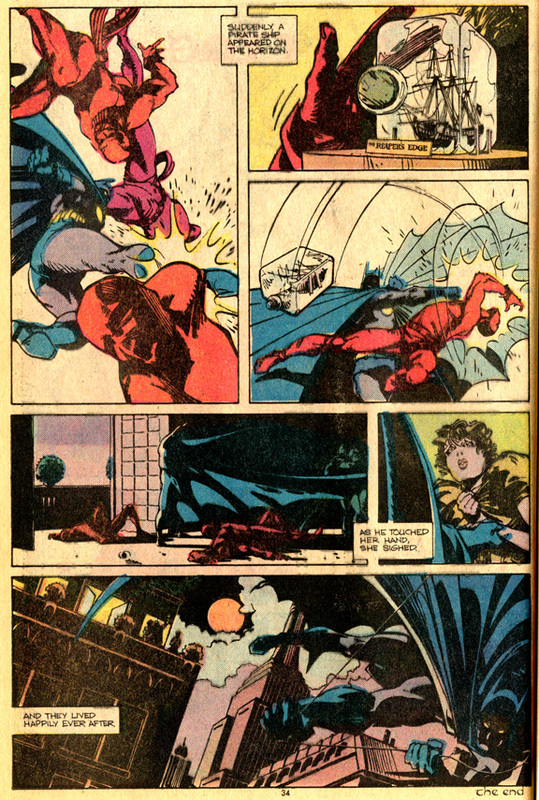 … and the following 2 page Batman tale, written by Len Wein, is beautiful, if not odd. “Lawnmower Man” was written by Stephen King and appeared in the book Nightshift. 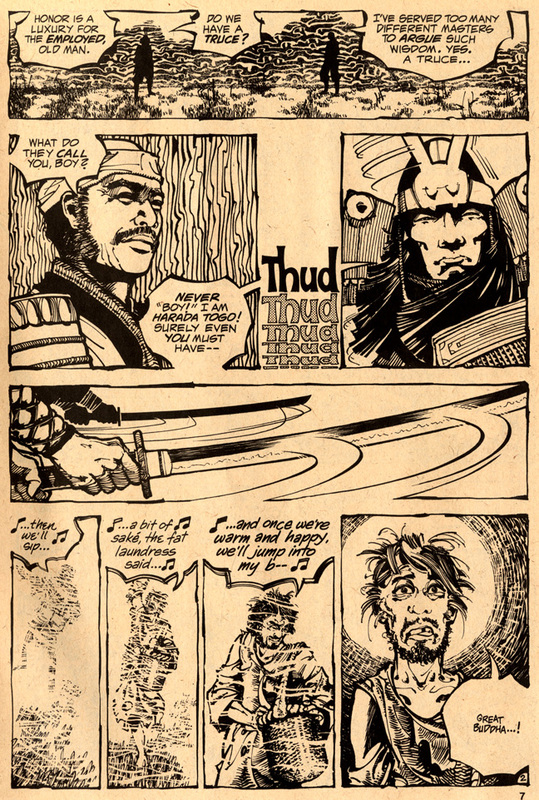 This adaptation by Simonson, and King himself, appeared in Marvel’s Bizarre Adventures Magazine #29, December ’81. 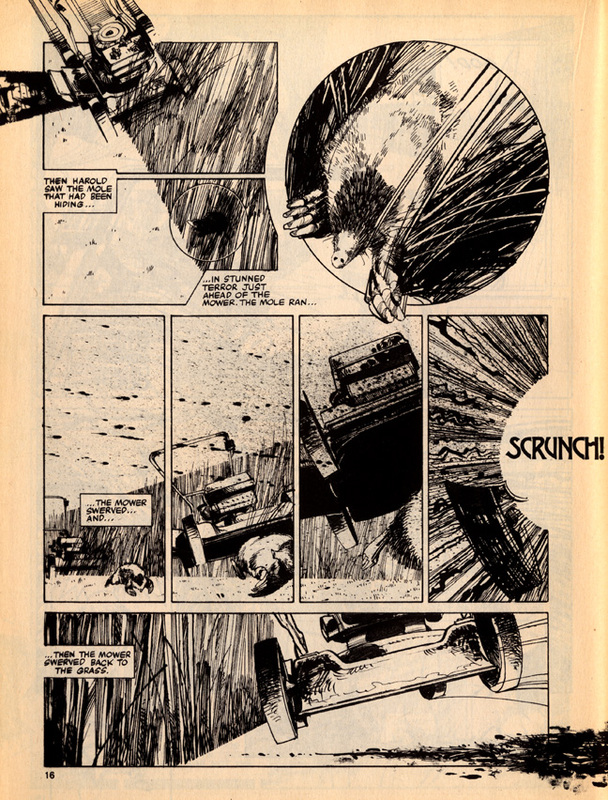 Simonson did a number of interesting things with layouts and narrative flow, but the actual rendering predates Bill Sienkiewicz’ own Steadman-influenced approach to ink. It’s not so evident all the way through, but this is considerably different from what Simonson had done up to that point. 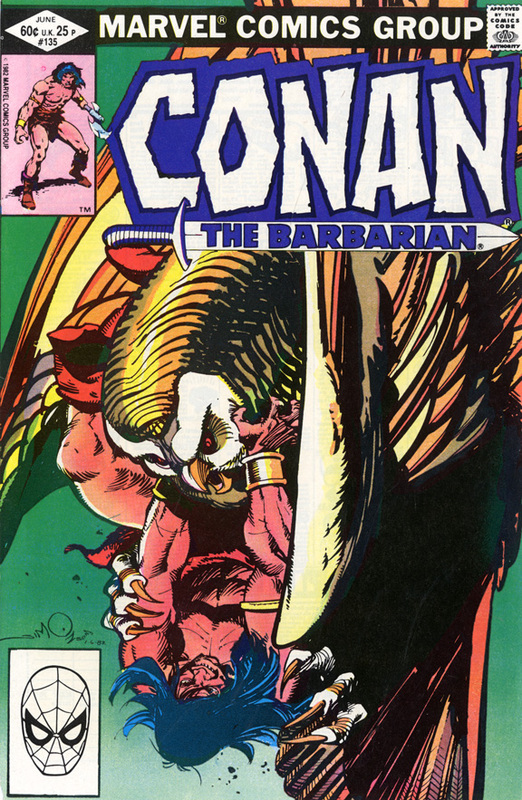 You try and tell me that this ISN’T the coolest Conan cover ever, circa June ‘82. 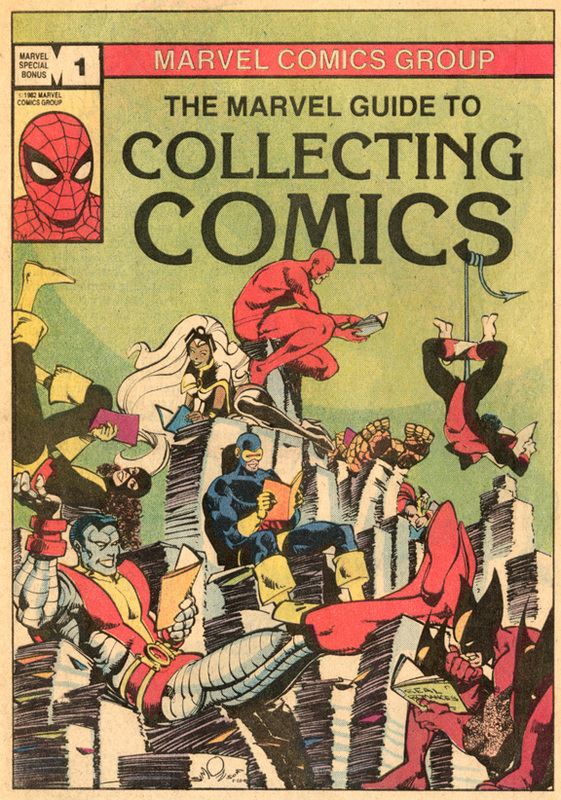 The Marvel Guide to Collecting Comics (1982) was possibly a freebie given out at retail stores back in the day. There’s an article in there, “It’s Better Than Money in the Bank” that attempts to persuade the reader into thinking that Captain Marvel (Shazam) and Kaluta’s the Shadow are lame and thus, their comics’ value are sure to plummet. Such cutthroat tactics, Marvel! 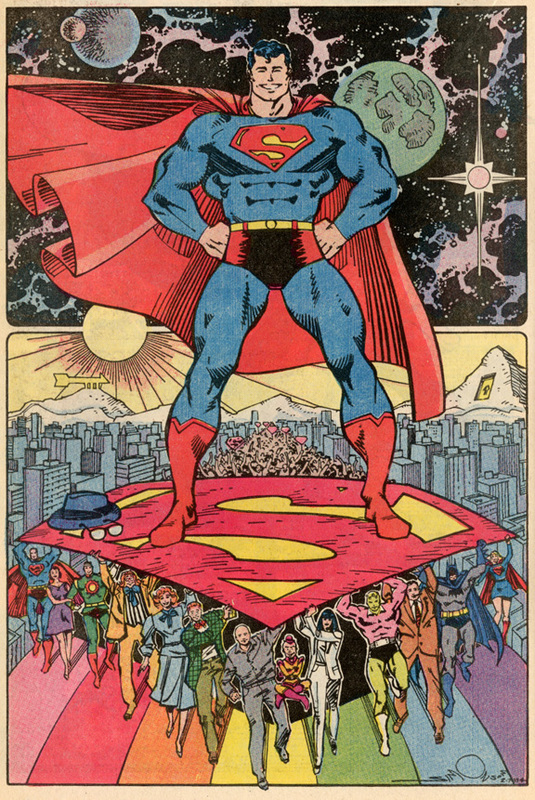 Here’s a mightily optimistic and celebratory pin-up from Superman #400, October ‘84. Cover for Comics Interview #9, 1984. 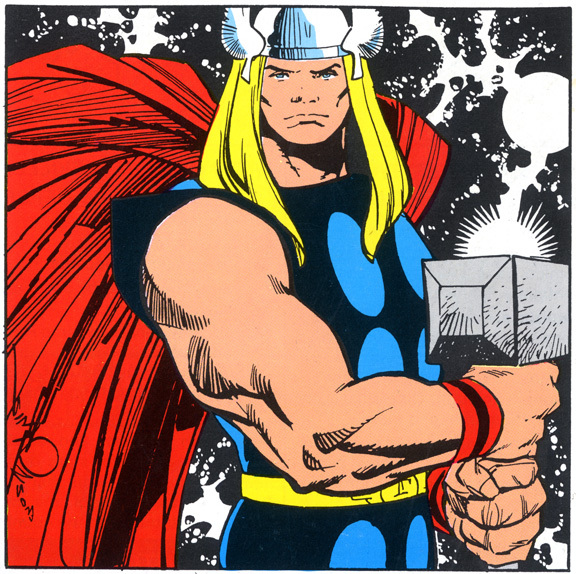 This marks Simonson’s classic Thor era. 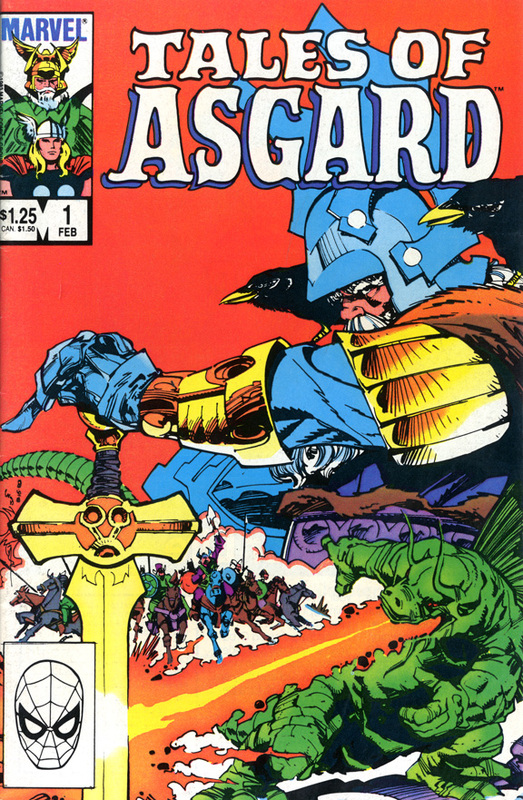 Tales of Asgard #1, February ’84, reprinted a few of the Lee/Kirby/Colletta material. 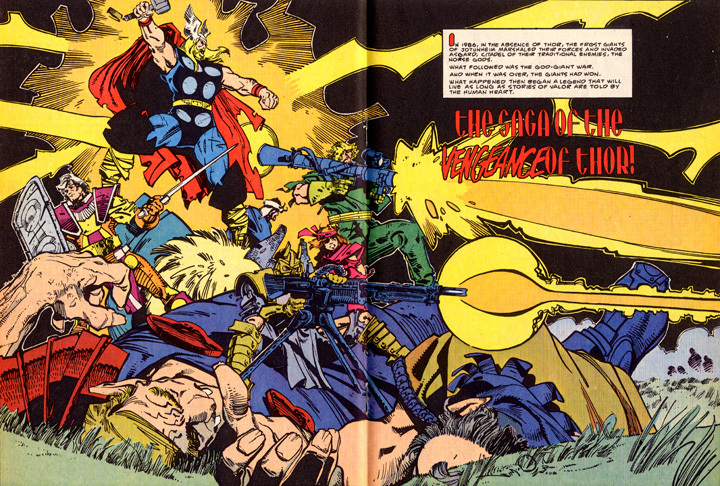 Ulik the Invincible punches the crap outta Thor’s arm in this Thor Annual #13, December ‘85. 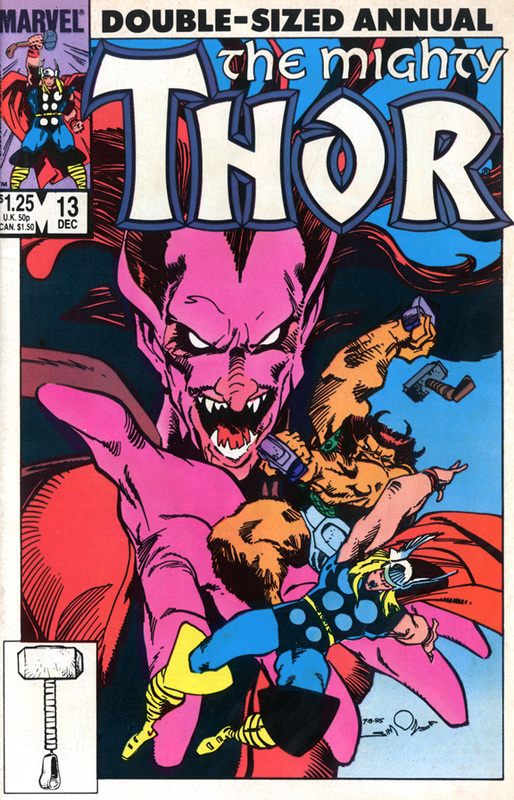 Also, Simonson didn’t draw Mephisto enough; he looks awesome. 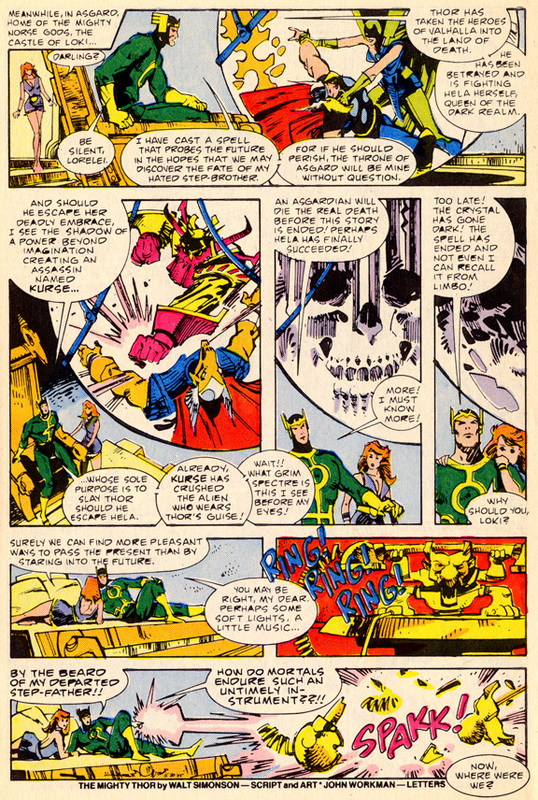 From Marvel Age Annual #1, 1985, Loki stars in this Thor preview. 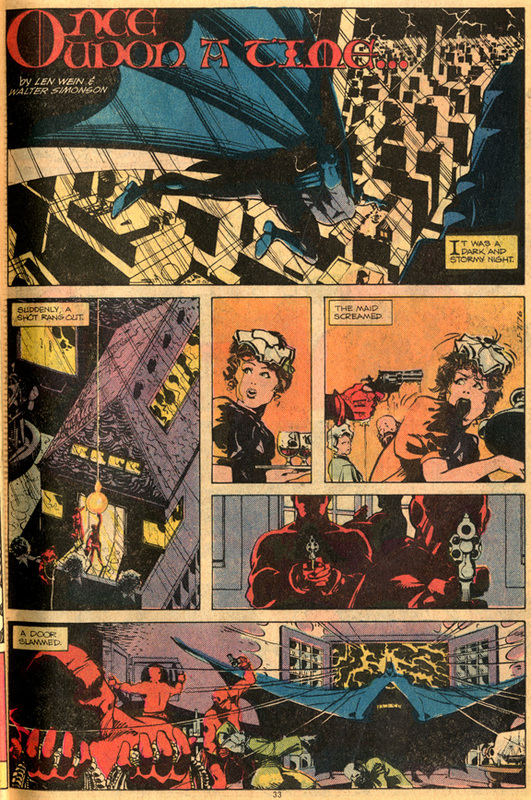 From the second Marvel Age Annual, ’86, another preview. National Lampoon’s Very Large Book of Comical Funnies, August 28, 1986. This special edition had a number of top industry talents spoofing every era of comix history imaginable. 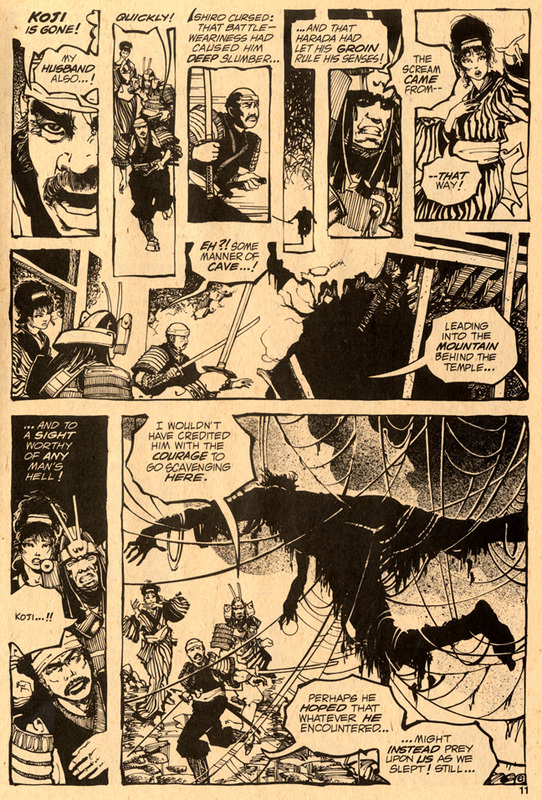 This one pager was Simonson’s contribution. 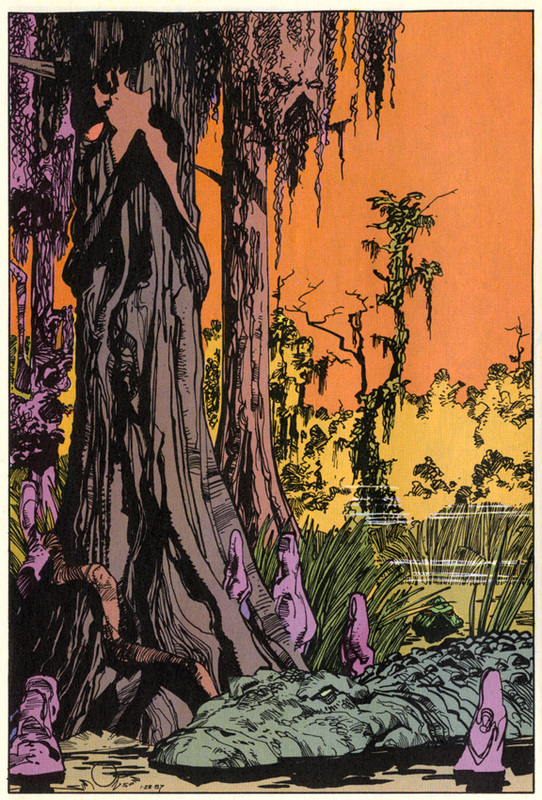 Pin-up from Swamp Thing #61, June ’87. 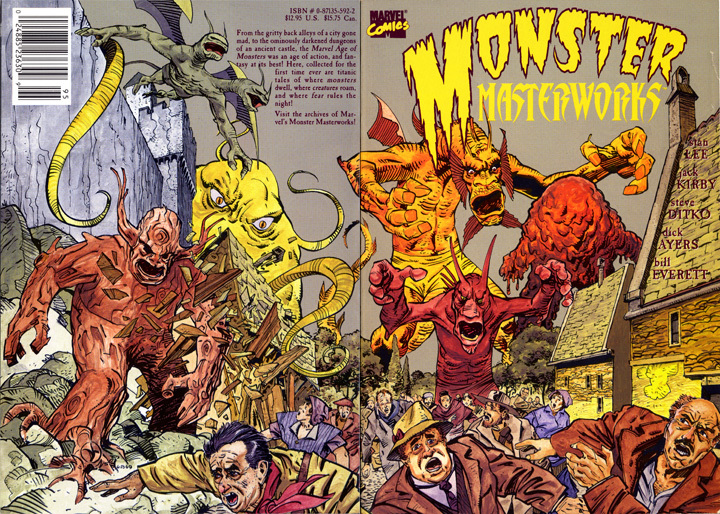 Monster Masterworks, 1989, a solid reprint collection of Kirby/Ditko monster yarns. 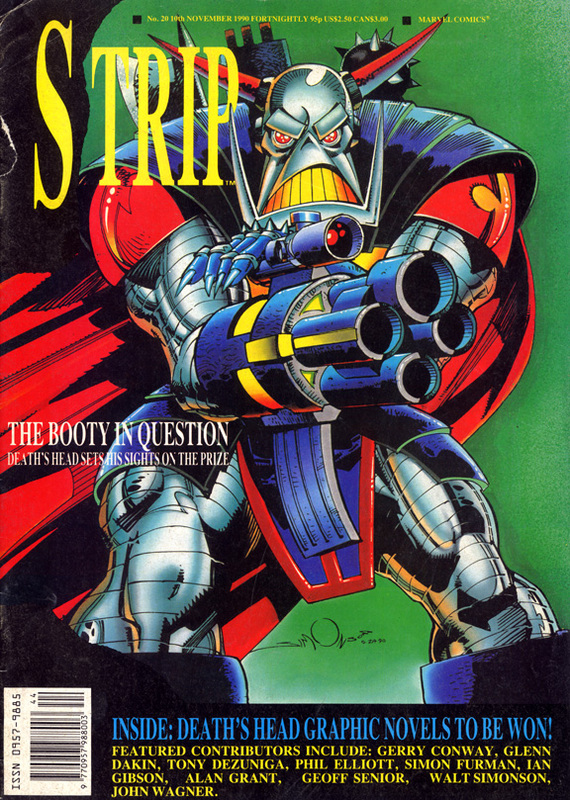 Death’s Head on the cover of Strip # 20, November 10th, 1990. 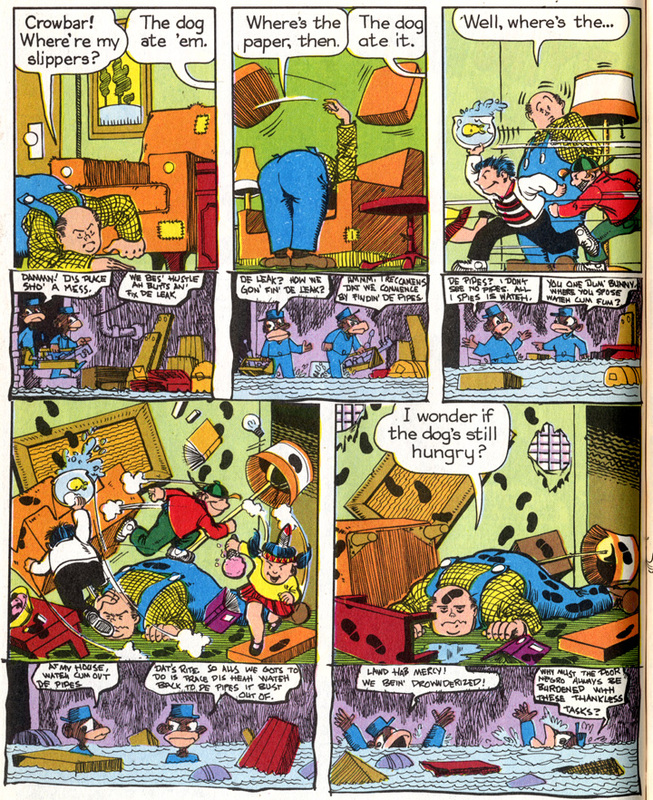 Strip was Marvel UK’s oddball magazine sized anthology. It was fun, but it had no clear thematic unity. 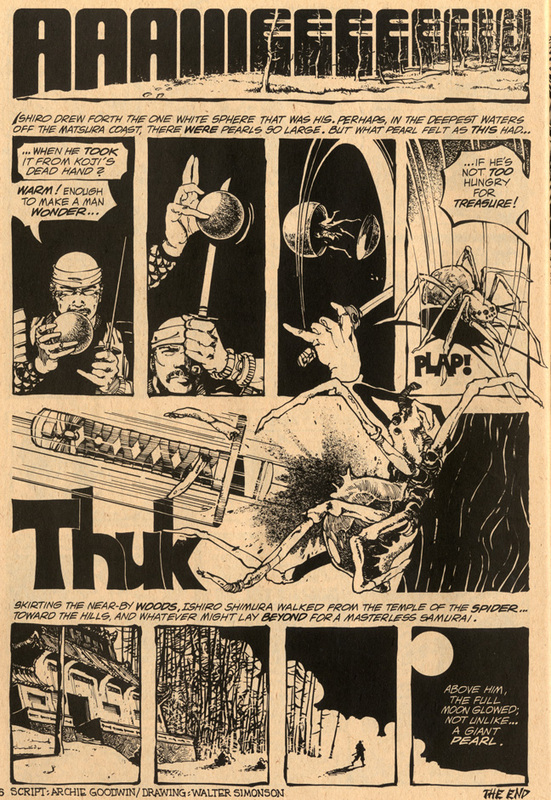 It ran Marshal Law, indy cartooning, Heavy Metal-type Fantasy, old Punisher reprints… I’m happy it ran that long. It wouldn’t make it in today’s market. 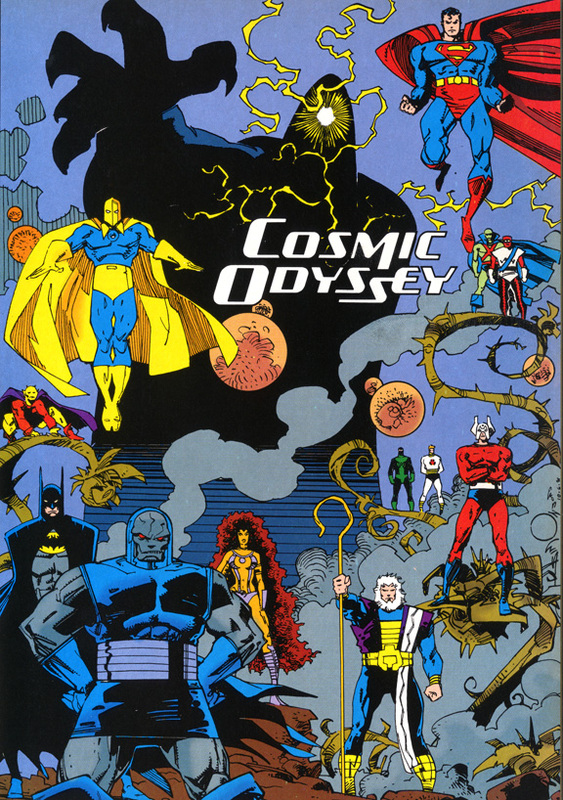 Cosmic Odyssey profile from the binder edition of Who’s Who (DC Comics, ’91-’92). Doing his best Mignola mime, Simonson’s style remains true. She-Hulk #50, March ’93, had a bunch of guest artists send John Byrne off from his run on the title. Although they printed these Simonson pages in the wrong order (posted in order, natch), you still get the idea: Shulkie, Goddess of Thunder. 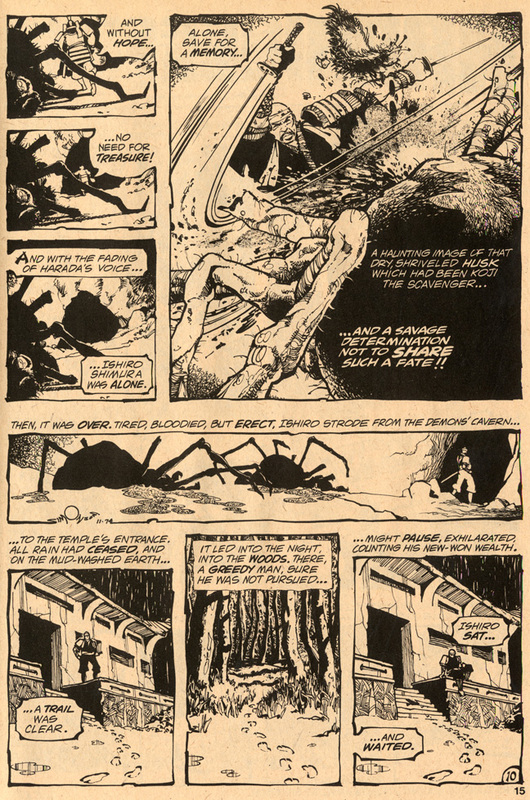 “The Temple of the Spider” appeared in Thrilling Adventure Stories #2, published by Seaboard Periodicals, Inc, which closed its doors a year after its inception by its publisher Martin Goodman. I stumbled upon this story a couple of years ago and couldn’t believe my eyes… an uncovered Simonson gem with Archie Goodwin providing the script! I’m a complete sucker for this particular collaborative team, so I was delighted to discover this story. 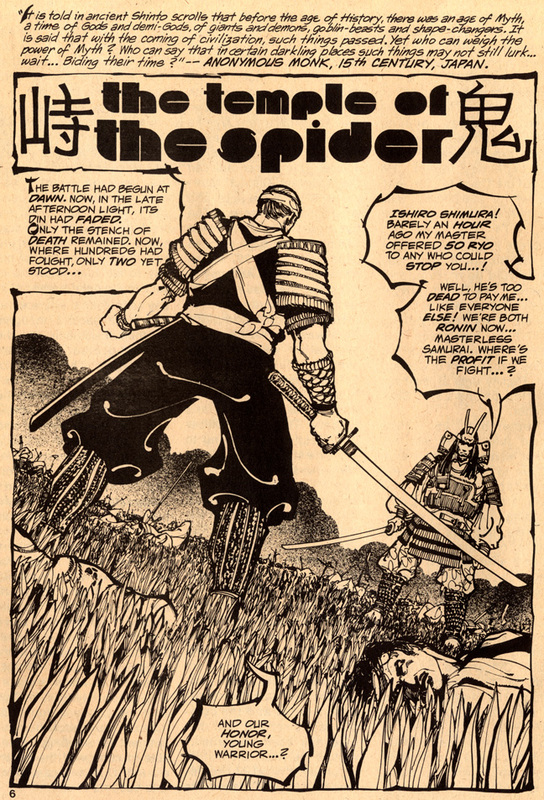 Looking through it, it’s easy to see how this may have influenced Frank Miller’s Ronin in later years. They were studiomates, after all; shared tastes seem perfectly natural. 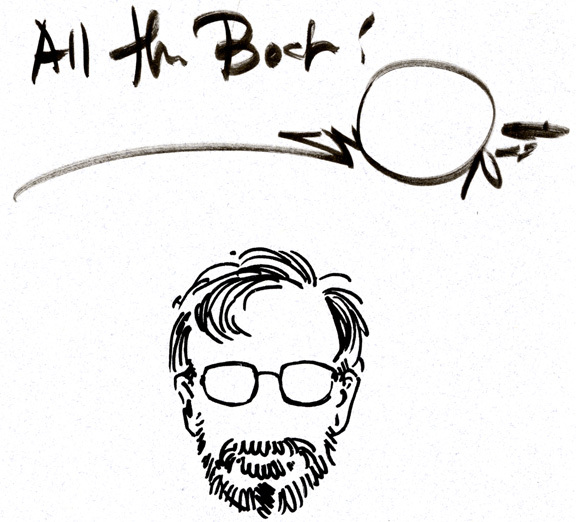 Walt Simonson has always been a pleasure to speak with at conventions. I recently had the opportunity to buy one of his sketchbooks, and he was gracious enough to personalize it for me. Needless to say, it made my day. There you have it, folks. Maybe you’ve just seen these works for the first time or remembered them from way back when. 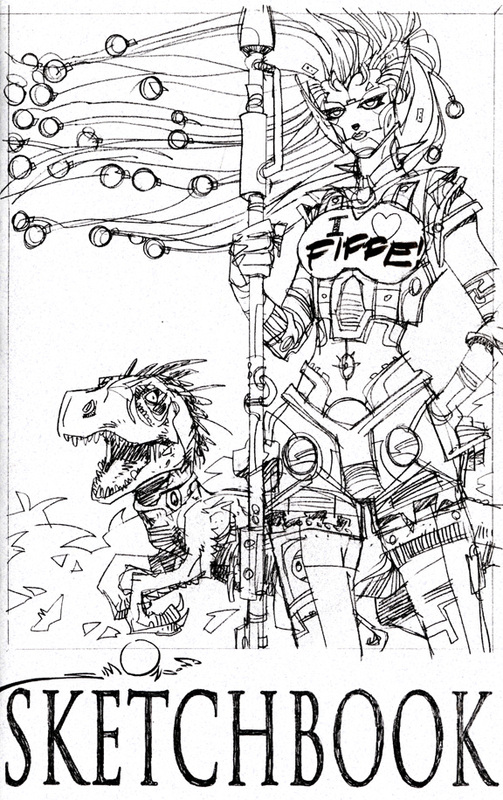 Either way, Walt Simonson is the exception to the industry rule in that his style has appealed to different generations and has transcended all sorts of stylistic eras. Also, he’s got a really cool signature. This is really educational for me, as I do not have much exposure to the classic men of mainstream. I gave up on superhero books when I read Bone. I was 13! Only in the past few years have I began to really appreciate the kind of work you show here. What a great resource! I can be a cynic and say that you didn’t miss much, but despite the onslaught of not-so-great- material, there were a few exceptions. I suppose that’s the case in every era. 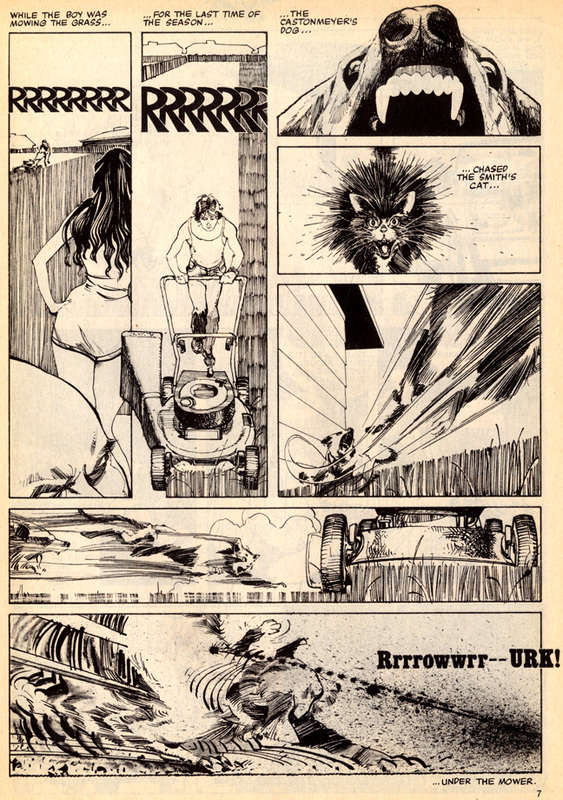 Simonson remained my favorite throughout the years, so I checked out everything he did. But Bone at 13? That’s a great book to discover and latch on to! I discovered Milk & Cheese and Sin City around that age (when I was about to give up on comics). I’m glad you like these posts! Yeah Bone rocked my world. The whole “black and white” thing really flipped comics on its head for me. 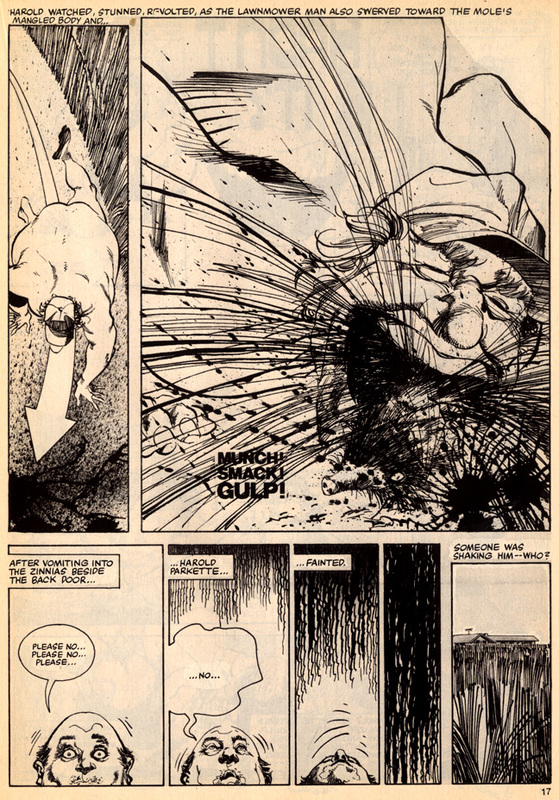 After that I remember picking up a packet of a 4 issue Fish Police miniseries that I loved. The Tick was big too. So between what little anime I could get my hands on and all the indy comics I was rolling around in, I had dropped superheros entirely by age 16 or so.